Chewy, sweet, sticky pieces of honey soaked, buttery and flaky pastry encasing a spicy nut filling. Good thing it's not too hard to make. 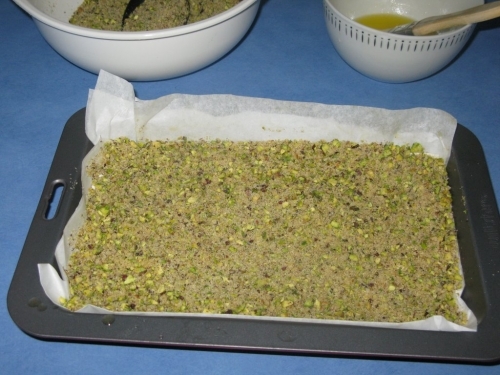 You will need about 200g of nuts, I have used walnuts and pistachios. About 375g of good honey, a 375g pack of filo pastry, castor sugar, cinnamon, at least 180g of butter and a fresh lemon. Make the honey sauce first. 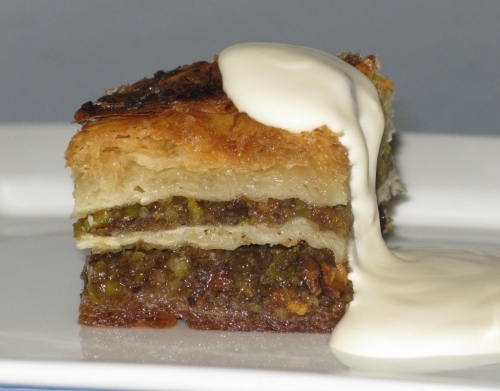 That way it can cool while the Baklava cooks, then when you pour the cool sauce over the hot Baklava, you will be surrounded by sweet honey steam and your Baklava will stay crispy. 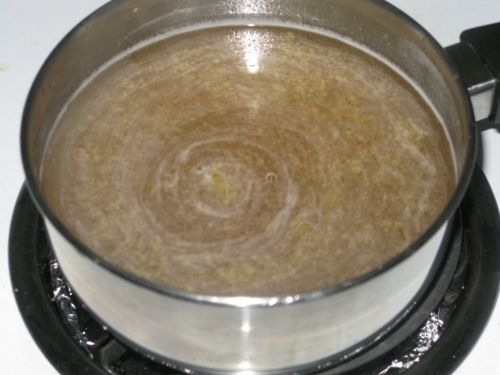 Bring the honey, 3/4 cup castor sugar, 1 cup water and the juice and zest of one lemon to the boil over a low heat, stir gently, then set aside to cool. 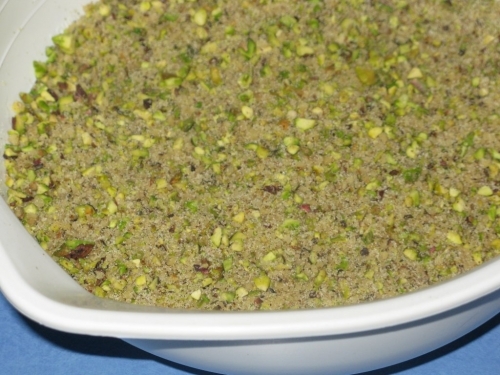 To prepare the filling, finely process the nuts in a processor with a teaspoon of cinnamon and 1/4 cup of castor sugar. Lay the filo out on the bench, cover with a wet tea towel, then a dry one, to stop the pastry from drying out while you work. Melt the butter. Gather everything together and you are ready to layer. Think of it like a sweet lasagne. Layer 1/3 of the filo pastry in the base of a rectangular oven tray. 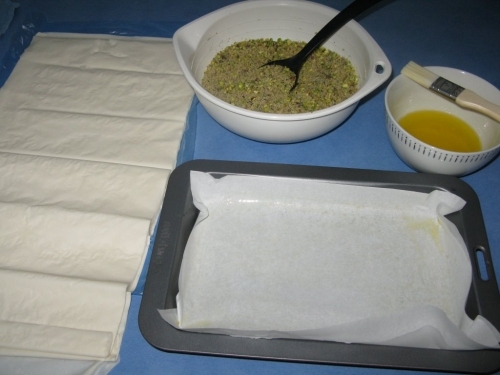 Each sheet of filo should be brushed well with butter, the more butter, the richer and crispier the final result. Spread half the nut mixture over the top, then the next 1/3 of filo, the remainder of the nuts and finally top with the remaining 1/3 of filo. Brush the whole top with butter. Make diagonal slices in the top layers of pastry, then sprinkle with 2 teaspoons of water and any leftover nuts. 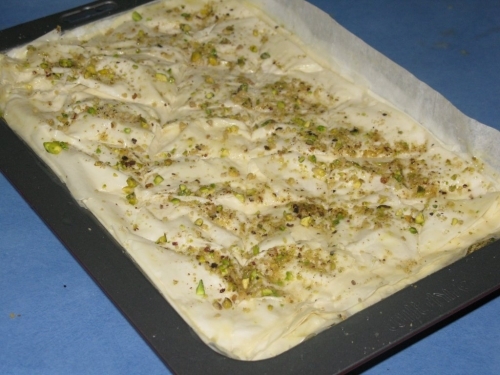 Bake the Baklava at 180°c for 30 mins, then cover with foil and bake for a further 45mins until the pastry is golden. Immediately upon removing from the oven, pour the cooled syrup over the top. 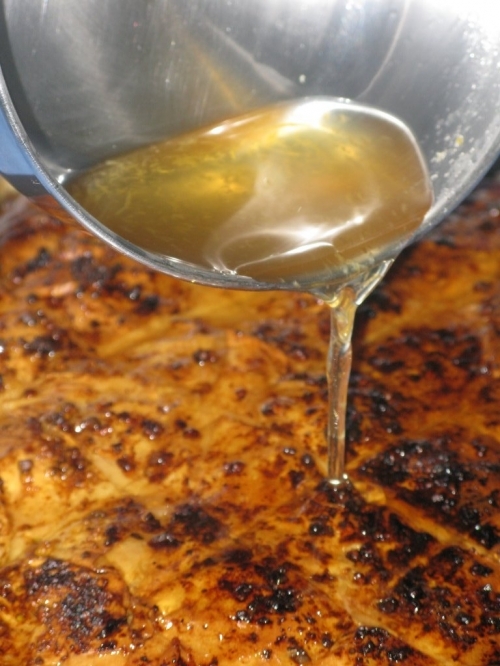 Allow to sit, cool and to soak up saucy honey goodness. Slice into small diamonds and serve with fresh cream and a cup of tea.